Today I created a card using the no line colouring technique. 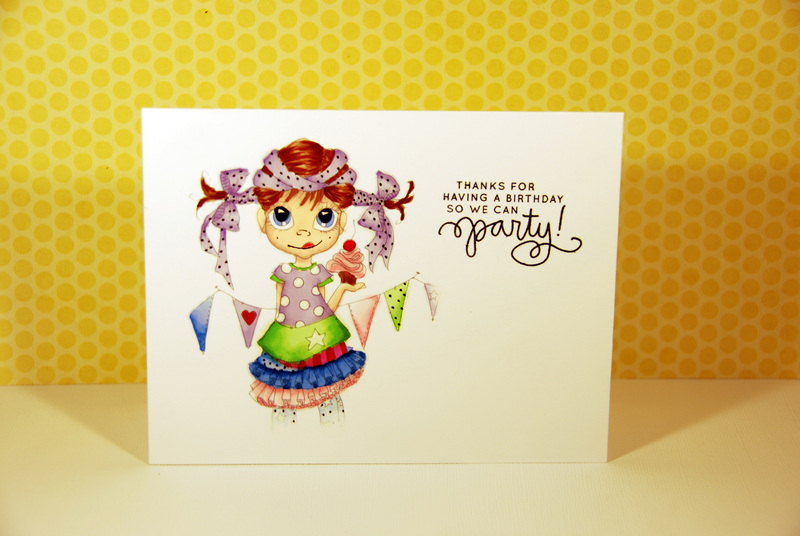 I started out by printing the Party Hardy digital stamp from Saturated Canary onto some Neenah Solar White #110 Card stock. Before I printed the image I faded out the lines using Photoshop. I then coloured the image in like I normally would except once the colouring is done the lines does not show up. Therefore I went in with a black pen and filled in the lines that are meant to be seen, such as the eyes. Once I had done that I stamped one of the sentiment stamps from the Birthday Balloons stamp set from Simon Says Stamp onto the side of the card and it was done!